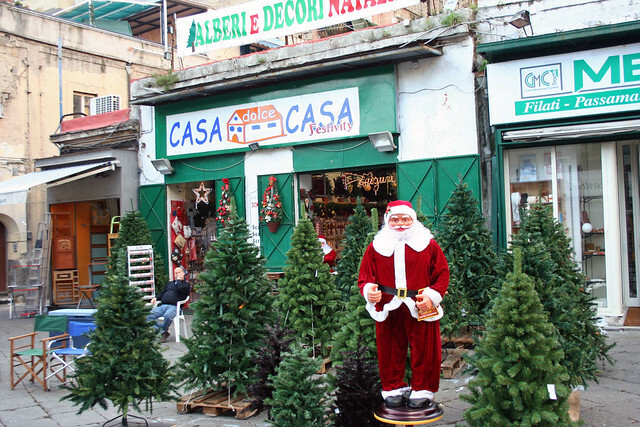 Where can you buy a Christmas tree in Naples, Italy? No idea! In Martina Franca, I think they’re all imported from China. I haven’t seen a fresh one yet . . . Buona fortuna! I wonder if those in the photo came from China. I’m not sure exactly where in Naples that photo was taken.